While crowd-funding is attractive to many entrepreneurs, it has a high failure rate. There's a new model in crowd-powered platforms: JumpStartFund. JumpStartFund's model addresses many of the factors that lead to failed campaigns and may become the new paradigm. 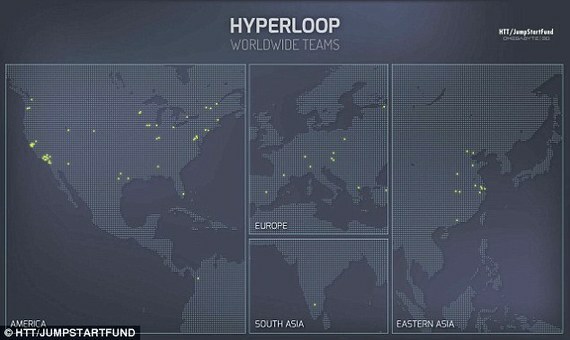 Hyperloop Transportation Technologies (HTT) is just its first success story; starting from a widely publicized idea from Tesla and Space X founder Elon Musk, HTT went on to becoming a company in 2013 thanks to the 'crowdstorming' platform. It achieved this success without significant support from Mr. Musk or his companies. Writing from first-hand experience, I can confidently state this thing works. Here's how. >thank you for your email. Your project sounds interesting. >Let me know how we can help you. I asked Dirk if he was open to a quick call and he swiftly obliged. It was during the call Dirk said, "Many entrepreneurs think they need to raise money right out the gate. But maybe what they really need to win at the early stage is validation from a community to rally around the idea. Then raise money once there's something to show." This is JumpStartFund's model, and why I think it is a game-changer in the crowd-funding world. 1. Increase probability of success, before investing loads of time. Most crowdfunding campaigns fail (more than 63% on Kickstarter and 90% on Indiegogo respectively) and success rates seem only to be getting worse. JumpStartFund's model adds a new layer to crowdsourcing; an 'Ideas' board. Anyone can vote for an idea to become a project. Similar to the internet-community Reddit, ideas are like posts, where bad ones die and great ones rise. On JumpStartFund, ideas with the most votes become projects. Once a project reaches a critical mass of contributors, a startup is born. Unfortunately, too many entrepreneurs waste hundreds of hours and millions of dollars on a startup before they validate the business model, find product-market fit, or find their first customers. The truth is, there has never been an easy or free way to determine whether a startup will succeed or fail. Now, if your product is already built and you're looking for distribution, incumbent platforms are likely a better fit. On the other hand, if your aim is to build a potentially "transformative" project, that might take a village to complete, keep a close eye on JumpStartFund. It's working. 2. Reduce likelihood of failure, by leveraging a community-based approach. Evaluating whether an idea is just an idea versus a lucrative opportunity is incredibly difficult. If it isn't (and you'll know quickly when using a crowdfunding campaign), you'll end up in the land of misfit campaigns, wishing you had done more research on whether your solution solves a problem people will actually pay money to solve. In my opinion, every crowd-sourcing platform should help develop a community of supporters; who can engage in the development process of the product with the company that makes it. Active collaboration at conception serves to filter bad ideas, useless features, and ridiculous user stories. Helping to build customer loyalty on the order of Subaru or Apple, JumpStartFund Fund brings people together around a common interest to build things they deeply care about. This can help people get "emotionally invested" in the project. The platform doubles as a project collaboration tool, including a discussion forum, a project roadmap, file sharing service and a place for people to apply for open positions. And the best part, people offer free advice -- revenue models, fundraising strategies, product features, and marketing techniques are common -- and are lacking from most, if not all, other crowd-funding platforms. 3. Find the best talent, from a global workforce. JumpStartFund is setting a new precedent by replacing the "old" way of doing business with a means to attract amazing talent from all over the world. Of the well know platforms, which of them allow you to crowdsource pieces of the company or, hire part-time workers for stock options in lieu of salary? JumpStartFund helps ensure your growth plan accounts for all the non-financial resources needed to create your company and bring your product to market. Don't worry about a lack of first-hand experience; engage the community by asking questions about what you don't know. Your followers will help you understand the types of creative, social, technical, or political capital that might be required to get your project off the ground. As your project develops and you're ready to begin hiring, be sure to activate 'Join the Team'. Remain active and be patient; someone with the knowledge, skills, and ability will apply and deliver. Serving markets outside the U.S.? With a distributed workforce, JumpStartFund's platform makes a great fit for companies serving markets abroad. Why wait for the Silicon Valley entrepreneur, big government, or a fortune 500 company to build the next "big thing"? As of today, HTT has nearly 4000 followers and a global workforce of 500 professionals, mostly working part-time (without salary), in exchange for stock options. Now the question is, what else can a community-based business model build? A new form of government? A path out of perpetual war? Back in the day, a village would get together to build shared infrastructures. Today, the village is the Earth, the tribe is the Globe. In December 2015, I had an opportunity to meet with Bibop Gresta, COO at HTT, to learn from his crowdstorming experience. 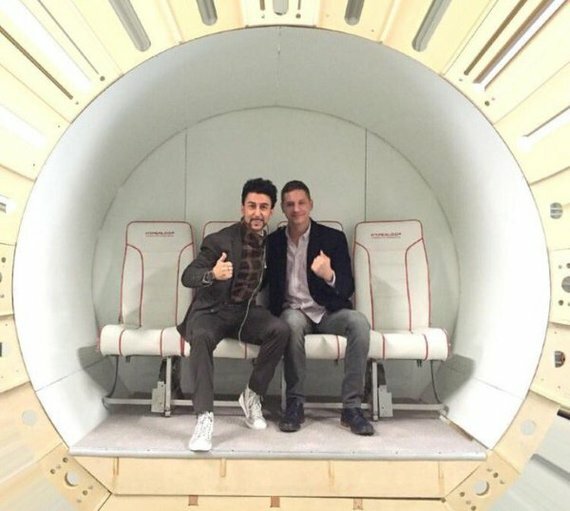 "There's a certain gravity of this undertaking...with Hyperloop's success, I imagine future where JumpStartFund's model progresses to physical locations; like a co-working space, but for big ideas like Hyperloop." At last check, JumpStartFund's community has more than 20,000 members. While the platform is still in beta, one thing is clear, Mr. Ahlborn isn't just trying to send people through tubes at 700mph, he is trying to change the way great companies are built. 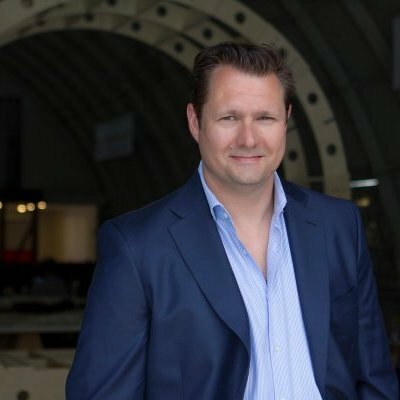 Dirk will discuss Hyperloop's progress and presumably JumpStartFund's role at this year's South by Southwest. Sharing the stage with President Barack Obama, First Lady Michelle Obama, and Star Wars director J.J. Abrams; Ahlborn's presentation is one of Fortune Magazine's '7 Can't Miss Things at SXSW 2016'. After an amazing call with "Mr. Hyperloop" himself, I went heads down to create a presentation 'pitch' deck for Dirk's feedback. In reply, Dirk drilled me with a series of hard questions, while pushing for specificity at most of my answers. As a general rule in business, when someone offers their most precious, non-renewable resource (time), to give direct and constructive feedback, one should welcome it with grace. I was humbled. One year later, my passion project is featured adjacent to one of the world's most ambitious companies in the world. In the coming months we will incorporate and begin offering stock options to our tribe; who are forging a product made by the people, for the people. In conclusion, be open-minded; move the ideas you've been writing down from notebooks or napkins onto JumpStartFund's Ideas board. Who knows, you just might find others joining you to make your biggest dreams a reality too. 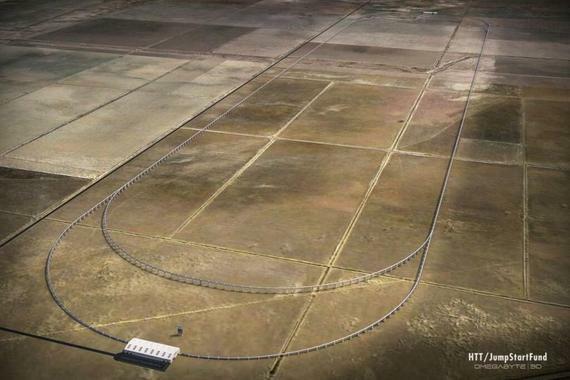 UPDATE - March 10, 2016 - Hyperloop Transportation Technologies and the Government of Slovak Republic have signed a deal to explore building a local Hyperloop system, with the vision of creating future routes connecting Bratislava with Vienna, Austria and Budapest, Hungary.